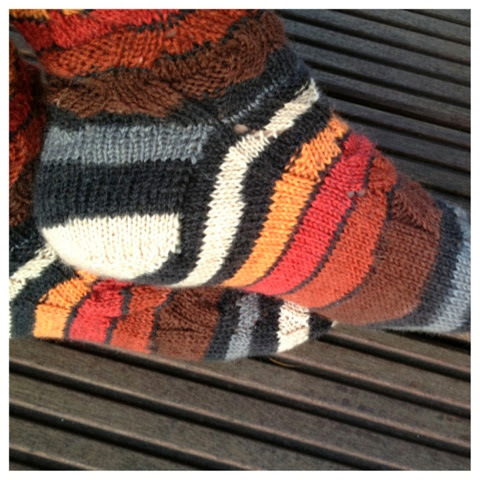 The socks are made of fantastic self striping yarn of Opal. Love the yarn, love the colors. I played around with the pattern and I ended up knitting something what looked like mesh wire. 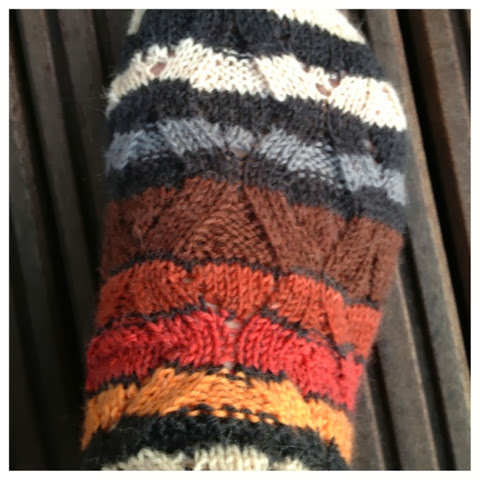 I think it is not perfect for socks, but it will be in a cowl made of thick yarn. 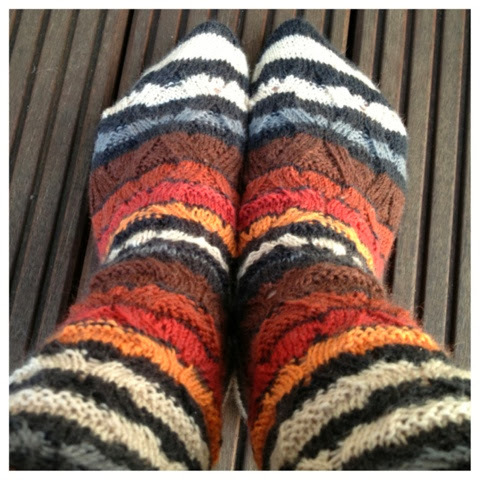 Die Socken sind aus einem Streifengarn von Opal gestrickt. Ich liebe Opal, und ich liebe diese Farben. Mit dem Muster habe ich herumgespielt, bis etwas herauskam, was wie ein Maschendrahtzaun aussieht. Es ist nicht perfekt für Socken, aber es wird toll bei einem Loop aus dickem Garn aussehen.